If the municipality of Sanxenxo, in the province of Pontevedra, is known for something, it is for attracting hundreds of tourists every year in search of spectacular beaches, good weather and, of course, good food. A Lanzada, for example, shared with O Grove, is one of the most visited beaches and offers much more than a simple bath. Nearby is an archaeological site comprising a castro, a necropolis, a medieval fortification and a chapel. At one end of this long sandy beach is a magical enclave that is discovering much of the history of our ancestors. Although the site was already known in the 18th century and had been excavated in the last century, it was not until relatively recently that its true dimension was discovered. 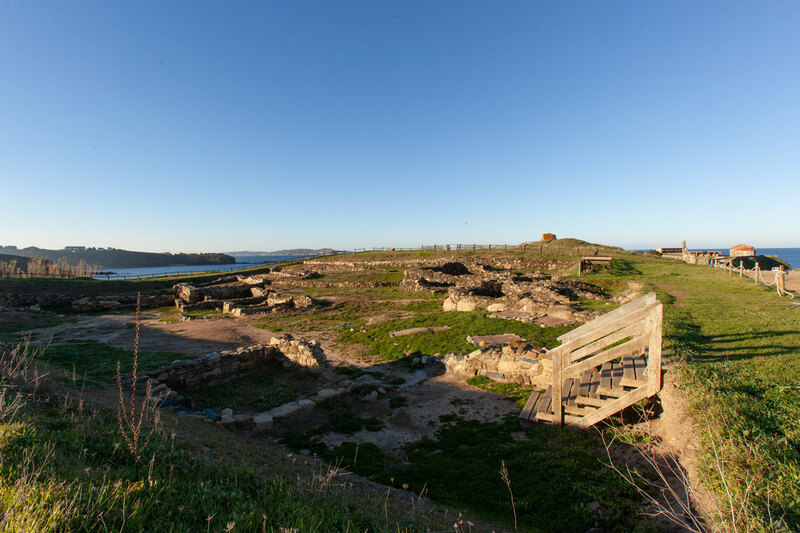 It is confirmed by the latest studies that A Lanzada was during Roman times and has a large centre dedicated to trade. Excavation work on the site has also uncovered a mysterious children’s necropolis that houses thirteen bodies of girls and boys dating from the 1st to 2nd centuries AD, all less than one year old. Near this point, the appearance of three adult bodies is also studied, among them that of a woman who lived in the 5th century and who has been baptized as Cornelia. Although both burials are in the research phase, we must not forget that the excavation work has also brought to light countless archaeological remains, including: bone and bronze pins, coins, shoe studs and castrexa ceramics, among other things. As if that weren’t enough, the beautiful Ermida da Nosa Señora da Lanzada is located near this site. An old chapel with spectacular views that was part of a coastal defensive system to prevent Viking and Norman incursions. Although only the Romanesque chapel from the 12th and early 13th centuries and the remains of a tower are preserved today, the construction forms part of the usual itinerary for tourists and residents of the area. Around it circulate various legends related to the sea. It is not well known since when this enclave began to be associated with various fertility rites. One of them consists of placing floral offerings on the so-called ‘Virgin’s bed’ (a rock found in the breaker of the hermitage), thus ending female infertility. Legends and myths aside, there is no doubt that this site oozes magic and history in equal parts. A Lanzada is not only a place of reference for lovers of good weather, the beach and the sea breeze but also a corner in which to discover a little more about our ancestors.